To furnish the diverse requirements of our clients in the best possible manner we are involved in offering an extensive range of Milling Tools. We make accessible a range of Stub Milling Arbors to our clients. Our range is manufactured using the best grade of raw material by our vendor and is known fir durability and high tensile strength. Extensively demanded in diverse industries, the range conforms to the defined industry standards. 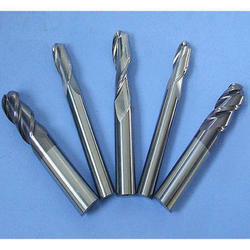 With rich industry experience and knowledge, we are providing an excellent quality range of Milling Tools. Road milling picks suitable for L&T, Atlas copco, BFW etc. coal picks for undergriund mining feeder breaker, coal crusher etc. Down arranged segmented Calibrating wheel for drainboard special design to maximize the lifetime of segments. Offering the same wide choices as Jo A Router in diameter and bond. 100: RPM - 400r/m, F/S - 250mm/min, M/D - 2-5mm/pass. Indexable Coromill 172 Milling Cutter are one of the well tested, capable and longer serving ranges of our firm which can be procured at the best of market price. Model ID: M200 SERIES Widia has announced the M200 Copy Mill as its latest addition to the Widia Victory line of tooling. 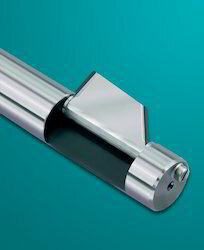 Tools for producing holes, threads, cavities and surfaces by using a milling method.